These 10 mini-movies are inspired by the African magic reality and conceived with atypical African personalities. These « excentrics » are filmed under an angle highlighting the fantasies that they unfold from their everyday life. Through the creation of scénariis, this collaboration around the phenomenon of football, emphasizes the poetic, extravagant and jubilant characteristics of their relation to the world and dynamics which they propose. In the form of «a stroll amongst small common denominators» Guy-André Lagesse pursues one of the aspects of his visual art work, that to observe «a simple object and the relation which we maintain with it». 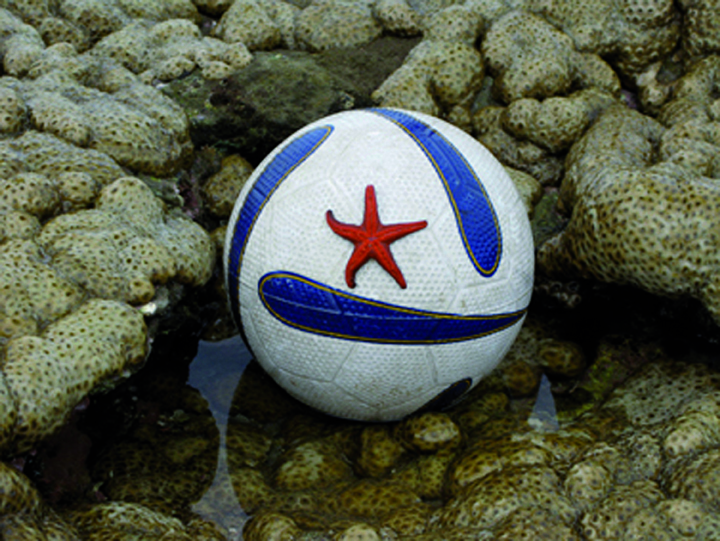 Naturally, in the context of the «football world cup 2010, Guy-André Lagesse took a more closer look at the ball. SHOOT : Fed up with 19 years of occupation the saharawi people have no more inspiration for a peaceful solution. 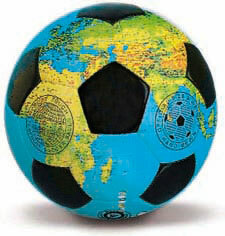 Goal posts are continually moving, nomade herdsman become soldiers and diplomatic negociators are quickly disappearing. WALL : In the Sahara desert a long wall separates families and friends. Along this border during the heat of the day, enemy soldiers half asleep, dream with pleasure and relief of families and friends jumping over the wall. CLIC : Through a dusty road a magician on his horse rides towards the «Football cinema palace» on the outskirts of Ouagadougou. After some ritual dancing on his arrival, he enters to find the spectators in front of a black screen. FRUITS : A group youngsters of Tampouy in Ouagadougou, arrive on their motobikes and bicycles and turn in circles around a big mango tree . They park their bikes around the tree trunk and disappear into the tree . A moment later the leaves seem to vibrate as if something was to happen. PAINT : A gentle giant from Douala, touched by the gods, has a ritual to complete before he becomes the football mascot of Cameroon. SOL : A lady goes to the bustling people’s market in Maputo to buy paint and clothes. Back in her courtyard silently she undergoes a mysterious transformation. PONT : Under the Wori bridge in Douala, street kids now adult, considered by most to be dangerous, jump into the river and swim against the current. They have given themselves a mission; save peoples lives that have fallen or thrown themselves over the bridge into the river. FISH : In Dengoine along the Mozambican coast, three fisherman snoarkling with their spearguns in the Kings Pool lagoon also called the «sea pantry», suddenly dive underwater, only to appear minutes later with a curious object. 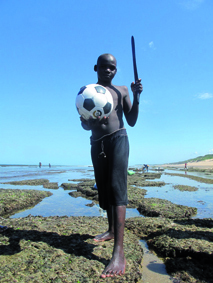 TRÉSOR : A mother and her son in Emachobeni on the outskirts of Durban are picking up plastic bags in the nearby bushes. As they move on an idea springs up to make a present for those back home. MARKET : At the ‘early morning market’ in Durban, stall vendors while struggling against their eviction, pass on a symbol of their unity that lands up on a carefully erected pile of carots.